Here in Napa Valley, the 2014 growing season delivered our third exceptional vintage in a row, yielding wines with ideal concentration, elegant tannins and lovely varietal flavors. Though the 2013/2014 winter was one of the driest on record, heavy rains in February and March provided the vines much-needed moisture at just the right time. A warm spring triggered an early budbreak, and perfect weather throughout the summer allowed the grapes to achieve ideal ripeness with pure, focused flavors and resolved tannins. Harvest began on August 5th and ended on October 15th, and though it was quite compact, we were able to pick all of our grapes based solely on flavor, resulting in another fantastic vintage. 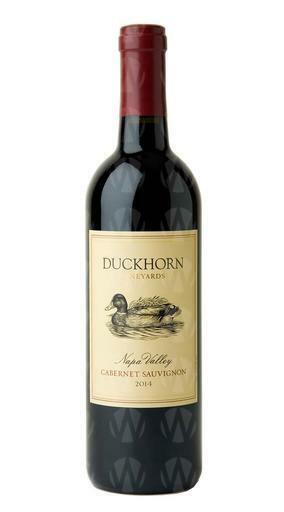 On the nose, vibrant layers of red and black fruit mingle with hints of violet, dried herbs, black licorice and graphite. The flavors echo the aromas, with lovely black currant and licorice elements supported by firm, impeccably balanced, tannins and an excellent structure. Good acidity helps to carry the juicy dark fruit notes through to a long, satisfying finish.